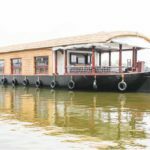 Pournamis’ three bedroom houseboat is one of the largest in our fleet. 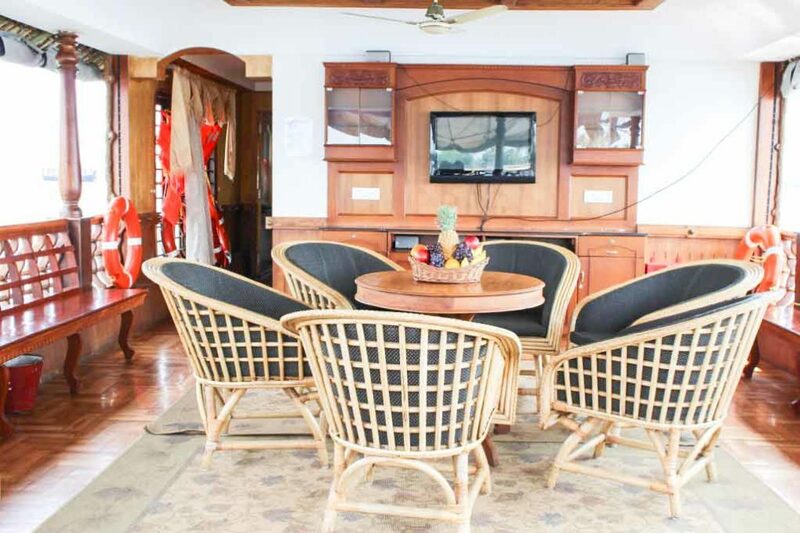 Three Bedroom Premium Houseboat consists of 3 bedrooms with attached bathrooms and a separate dining area. The default occupancy of the houseboat if 6 pax. Each room contains a double bed, idle for a couple and a kid less than 5 years of age. The houseboat contains a kitchen where the food for you will be prepared by our staff. The boathouse is also used to host events like birthday parties, anniversary and corporate team outings. *Rates are indicative, may change based on availability and demand. Check in at 11 Noon at Alleppey. Start cruising through the Punnamada Lake, venue of the famous Nehru Trophy Boat Race. Enter the enchanting waters of the Vembanad Lake; enjoy the panoramic views and the glimpses of the life along the banks. Enter Marthandam Kayal , the High Points of the cruise are the visit to the Historic church which was made by a landlord for his laborers (Chithira church, which opens once in a year) . Proceed to R-block , Visit Chavara Bhavan-the old wooden house where the blessed Kuriakore Elias Chavara was born (if interested you can go for a village walk and visit Chavara Bhavan). Lunch in the House Boat. 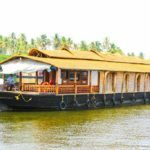 Start cruising towards Kuppapuram, Kannitta, Irumpanam Canal and finally anchor around 5 pm at Meenapally Kayal for night stay. If interested you can enjoy doing fishing. Next day by 8 a.m start cruising through Irumpanam canal, Kannitta, Vilakkumaram Thodu , Thathampally Kayal (where you can see the snake boats occasionally ) & finally drop you back at the finishing point. Check out by 9.00 AM at Alleppey.